Now that the turkey’s gone and the food coma has set in for a good week give or take, let’s not throw out all that delicious Thanksgiving gratitude. 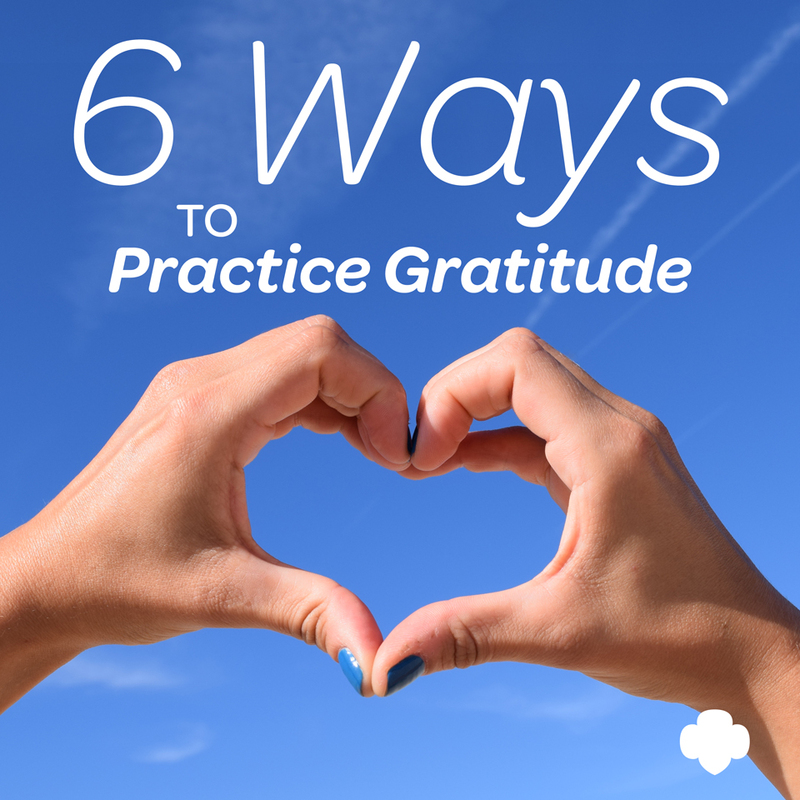 Taking a moment to be grateful every day can help us feel happier and more connected all year long. It can also help us feel our best so that we have our best to give to others—you know we’re all about making the world a better place! 1. Literally count your blessings. Every day before bed, take a few minutes to think of three things you’re thankful for that day—you might even write them down. Then, at the end of one full year, you can read through your collection and reflect on all that is so good in your world. 2. Pay attention to the small things. Don’t just wait for the big, amazing things to happen. Focus on small, everyday joys like a delicious meal, a break on a deadline, or a sweet parking spot. Once you start to pay more attention, the reasons to be grateful are endless. 3. Volunteer, volunteer, volunteer. Helping others can serve as a great reminder of all we have to be grateful for, instead of focusing on everything we wish we had that we don’t. Remember there is always someone who would be delighted to be in your spot. Put your time and energy into helping someone who could really use a friend to be grateful for. You see how that all adds up? Cool! 4. Perform at least one random act of kindness every day. It may sound like a lot, but once you get into the swing of it, it’s not much at all! Everyday kindness is in opening a door for a stranger, in just letting it go when someone cuts in line, in surprising a friend with her favorite treat for no reason at all. Regularly practicing kindness helps us better connect with our world and those in it, allowing us to focus on smiling faces and the goodness of people rather than all the not-so-good stuff. 5. Surround yourself with positive people. Positivity is contagious! If you spend all your time around folks who consistently focus on the negative, you’re going to have a hard time staying positive and grateful. Negativity is part of life, but it doesn’t have to be a focus in your life! Practice positivity and hang around people who are into it as well, and watch your gratitude soar to awesome new heights. 6. Commit to it! Mindset is a powerful thing. Decide to commit to gratitude and see how you just start noticing more things to be grateful for. This will come in super handy, especially when tough times roll around. So come on. Join us. Let’s get our Thanksgiving on all year long, substituting that coma-inducing meal for a healthy serving of grateful every day! It will make such a difference in your life and in the life of those you love.